GoDog-Wildlife With Chew Guard Small: Rabbit. Toys help ensure happy and healthy dogs and puppies! 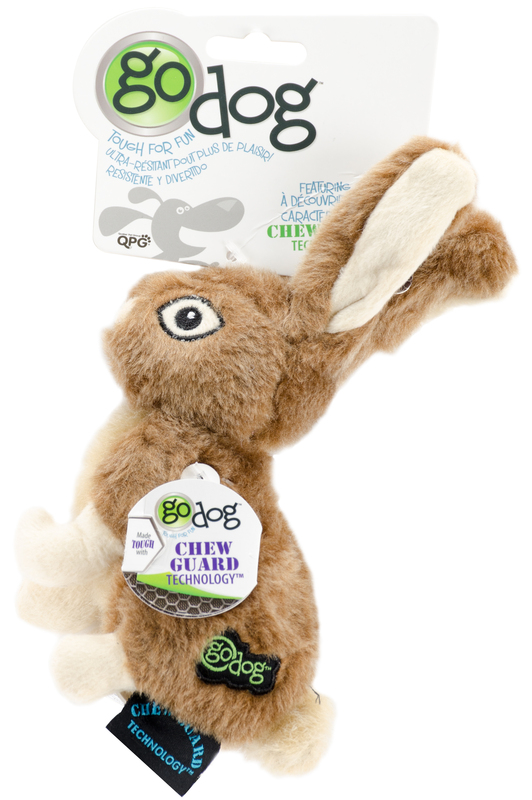 This toy has Chew Guard technology which adds durability to help stand up to the toughest chewers. This package contains one 7x5x2 inch dog toy. Comes in a variety of designs. Each sold separately. Imported.